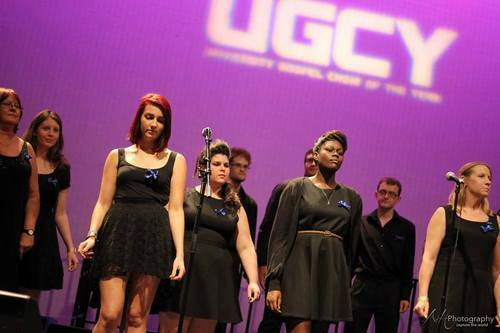 UGCY returned in July 2013 for its 3rd annual nationwide search for the best University Gospel Choir! The competition once again showcased the best and brightest of the UK’s university gospel scene, which shaped up to be our best show yet! 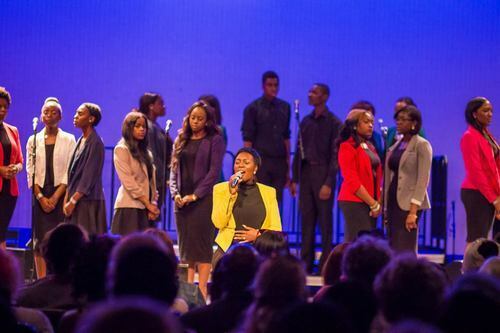 Several choirs submitted their entries and after much deliberation, the following top 8 university Gospel Choirs were chosen by the Judges to battle it out on the main stage of the historic Hippodrome, North West London. Over 250 individuals featured in 8 dazzling performances watched by an audience of close to 1000 featuring press and special guests,. The event was hosted by Rachel Kerr (MOBO 2012 winner) and also featured Jahmene Douglas (X Factor 2012 runner up). Celebrating its third year anniversary, the event took place in the historic Hippodrome theatre in the heart of North West London. The day arrived faster than the UGCY Team could imagine! With the much-needed sun beaming in Golders Green, local passers-by witnessed what seemed to be a gathering outside the Hippodrome. This “gathering” was made up of UGCY 2013 participants from different universities from around the UK, eager to start preparing for the competition. 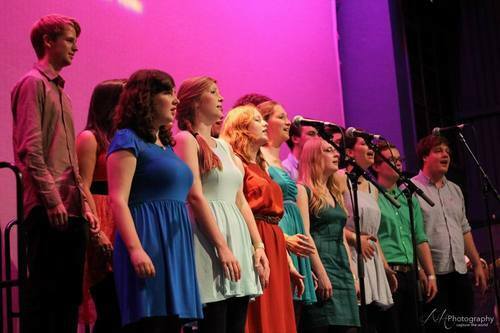 As with other musical/theatrical events, the choirs and performers had their sound check sessions and rehearsals. With so much going on one could sense the excitement and nerves that filled the venue from the dressing rooms, to the auditorium, corridors and even the local park! A tradition at UGCY is to have a mass choir performance at the end of the show, where all the choirs come together to sing as one. In order to accomplish this, the wonderful Andrea Encinas, co-founder of the iconic LCGC and UGCY Judge, led the workshop for the mass choir performance. UGCY host for the last three years, MOBO award winner Rachel Kerr delivered customary gratitude to sponsors, MVLS and British Gospel Arts and the introduction to UGCY’s house choir. 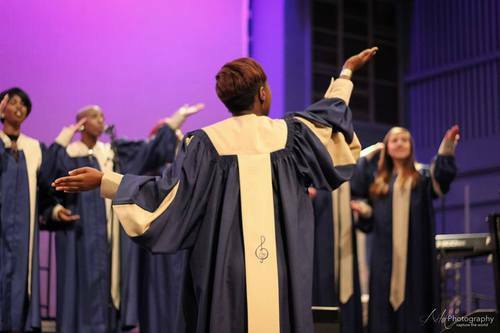 The house choir, performing for the first time delivered a fitting opening number to the show with storm of gospel harmonies capturing the audience with their blend of praise and worship. Up next was Harmony Gospel Choir from Manchester University who effortlessly gave a seasoned choral performance encapsulating what this gospel competition has come to represent in three clinically delivered gospel pieces. UWE Gospel Choir (University of the West of England) portrayed their choir as traditional with their church organ inspired gospel music and full choir regalia almost delivering (in song) what some may call ‘a brief history of gospel music in the United Kingdom’. The UGCY 2013 audience were soon flashed forward with a fitting ‘Sister Act 2’ style gown changeover. 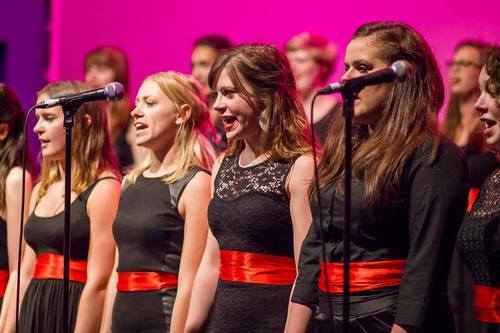 Canterbury Christ Church Gospel Choir were back again for the third year running! Taking the advice from the judges last year, they came back singing the soundtrack classic, “He Still Loves Me” from the film Fighting Temptation. 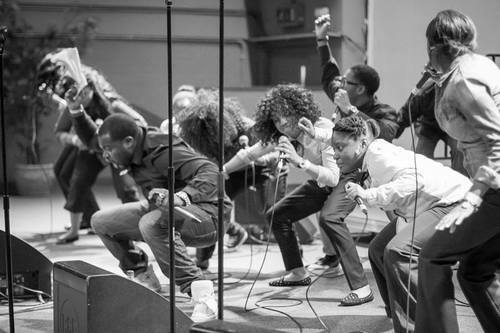 Their performance was soulful, with their choir director Vince Peilow lending his vocals to the performance. The UGCY 2013 audience was given a truly colorful performance from Royal Holloway University (Royal Holloway Gospel Choir) with stimulating gospel harmonies delivered very high technical precision. And if the audience were not already entertained, VM & New Ye came on after the interval and by all accounts, took the audience to church with their funky fusion of praise music. People were out of their seats and dancing and this set the scene nicely for the rest of the evening; a through on through gospel work out. UGCY first timers Leicester University Voices added theatre to their medley of afro-centered praise and worship by using slick stage movement set against theatrical lighting effects ensuring that their maiden performance will hopefully be the first of many future UGCY appearances.